My tag line for this year was Bringing The Best of Tap Dancing To The Feet of Dallas. I need to put a giant check mark next to this on my to do list! This year's event was beyond my expectations. I always knew that I could bring an amazing festival experience to Dallas, but I am so grateful at how smoothly it all came together this year. First, can we talk guest artists?! I am honored that these amazing people were gracious enough to share their times and talents with us here in Dallas. Each artist offered such a unique perspective and gift such as Chloe with her amazing inspirations, to Sarah with feet that should be registered as a lethal weapon, to Nicholas for his brilliant poly rhythms, to Acia for her great knowledge and command of tap dancing, to Justin for his great passion, to Matt for his boyish charms that always steal the show, to Kaelyn for her I Can Do This soul, to Emily for being that amazing young artist that every young tap dancer should strive to be, to Nick D for his infectious personality matched only by his fabulous tap styles, to Anthony for always pushing us to do better and to be better. These artists brought the best of their worlds to our world of RIFF. Second, uh hello...The Wyly! I LOVE this theater! And lastly, there is an amazing group of people whose generosity humble me and their efforts inspire me to continue on this path. There of course is My Mary...yes, that truly is what I call her. Without Mary, you would see me running around like a chicken with her head cut off. She is my person. She puts all of the details in order to all of my grandiose plans, enabling me to keep dreaming. I love her dearly. I'd also like to thank my generous sponsors...Centurion America, Evolv, O'Mara Sprung Floors, Next Step Dance, and Company Cafe. Thank you for your support and for believing in the great art of tap dancing. I hesitate to put names on all of the rest because I'm fearful that I will leave someone off. Please forgive me if I do! Thank you to all of my behind the scenes people...Shelly Santillan, Freddie, Mike and Sabrina Magolnick, Shane and Kristy Hendricks, Judy Barnes, Erin Vasquez, Jennifer Carter, Jen Mendolia, Mardece Edwards, and Teylor Hare. It takes a special family to be a host family...you guys rock! Thanks to Mehrdad Moayedi, Pamela Moayedi, Stephanie Buford, Jo Ann Mikolitch, Michelle Monger, and Sally Scott. I'd also like to thank our ensembles that participated in INFUSION. Our youth groups showed us that tap dancing is continuing to grow in the hearts and feet of our youth. Thank you to RPM, Hyperfeet, Choreo Records, JAM Youth Project, and NSD Youth. Our professional companies were stellar! Thank you to Rhythmic Souls and to the group that always puts a smile on my face, Dallas Tap Dazzlers! RIFF was always a dream of mine. I am so glad that I took that giant step to take this on. My beautiful family have been very supportive and understanding of the countless hours I have poured into this festival. Kevin, your support means more to me than you will ever know. Maddie and Mia, this is our journey together and it gives me such great joy to share this passion with you. Charlie, you are my favorite little boy on this planet. Thank you for loving me and sharing me with so many other children. So, RIFF 2017 is in the plans. Stay tuned as this is only the beginning! Much love to you all and always, always, keep tapping! The Countdown Has Begun to RIFF 2016! Infusing the world with rhythm...one tap dancer at a time. We are 2 months out from RIFF 2016 and I am so excited about this year's event. It looks like we will have at least 10 states represented and registration is still going on! The idea of our tap family growing, expanding, and supporting each other, inspires me. I cannot wait until our first day together! RIFF is truly my dream come true. Bringing the best of tap dancing, literally to the feet of Dallas is so very important to me. My hope is to put RIFF Dallas on the map as a sought after tap festival and performing art event that blends and fuses the concert world of tap dancing along with the commercial world. Exposing dancers to both seems to me to be the best opportunity for tap dancers to take part in. AND...our concert! I can't wait to let everyone know about the details. I will be announcing our concert title very soon along with ticket details. This show will blow you away! When faced with a decision while planning RIFF 2017, my thoughts always went to the saying, "Go Big or Go Home". My desire remains to bring the best experience for tap dancers together into one amazing event that is both nurturing and educational. Because, what good is it to further our technique and skills without building the relationships and connections that make what we do so very special. I was blown away by all of the amazing tap dancers, their parents, and the guest artists who came together for 4 days and encouraged each other. I saw older tap dancers cheering on younger tap dancers. I saw highly experienced tap dancers honing their craft at all hours during their off time. I saw parents come together from all parts of the country and enjoy bonding at a local Tex Mex restaurant. I saw a tap legend sit in the lobby and tell stories of days gone by. I also saw that same tap legend, who on a whim, decided to perform a solo with a live jazz band because the students in the first act had inspired her so much. These are just some of the memories that were created with this "go all the way" mind set. While my soles have yet to have the time to experience any of my own tap classes at RIFF, my tap soul is being fed very well. This one long weekend of the year is the highlight of my professional life and each year somehow seems to get better and better. Now having 3 festivals under my belt, I look forward to planning more events and of course RIFF Dallas 2018. There are so many people that help make this happen and I just simply couldn't do it without their gracious donation of their time and talents. From the parents that are my room monitors to the people who laid my floors, I am eternally grateful for their support. I'd like to mention some of them here: My Mary, yes that has become her name...she is my right hand; Shelly Santillan, Mary's right hand; Shane Hendricks and Dennis Hanson, my floor gurus; Robert Martinez, who didn't quite know what he was getting into when he offered to help; Pamela & Mehrdad Moayedi, for always being so hospitable, Jennifer Carter for being someone I can always call in a pinch; my amazing interns, Emily Mikiolitch and Josh "Where's Waldo" Nixon who do anything and everything; my host families and drivers including JoAnn Mikolitch, my husband Kevin and Jocelyn Moore. I really hate to make a list like this as I know that I am leaving someone very, very important to me out. But this has more to do with my ADD and memory is crap brain than anything else. Tap dance and the support of tap dance is so very strong and I am both grateful and encouraged by the love shown by everyone that I mentioned. I believe that tap dance is "Going Big", and there is no turning back now. Rhythm In Fusion Festival was my original tap festival, an idea that I came up with after years of complaining that a city the size of Dallas didn't have it's own festival. Fast forward 5 years, and here I am with a new company, RIFF Dallas, LLC, but with the same dedication and quality of festival as in the years past. I along with my right hand, Mary Ohman, have decided to move forward with our new company. You will notice a new website, a new email address, but other than that, you will experience all of the things you have come to expect from an event produced by Malana Murphy. 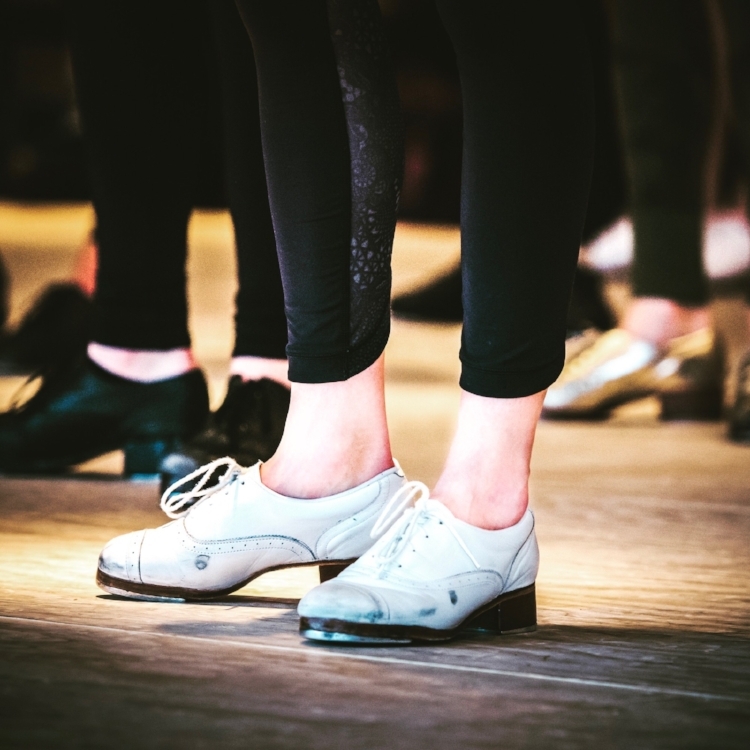 RIFF Dallas will strive to continue to bring the best of tap dancing to the feet of Dallas. We will bring in the tap mentors and teachers that are touching the lives of today's youth and who are leaving their impact on the art of tap dancing. Please continue to follow me on this journey of exposing the tap dancers of tomorrow to every aspect possible of the history and legacy that has come before us. And let us venture into the future of tap dance, pushing ourselves, while always honoring the traditions of the past.